Friends of Foster Kids (FOFK) is a 501(c)(3) non-profit organization founded in Macomb County, Michigan in 2008. TIN# 26-3886394. From Macomb County alone there are approximately 900 children in foster care each year. Many of these children have never experienced the joy of receiving a gift at Christmas. 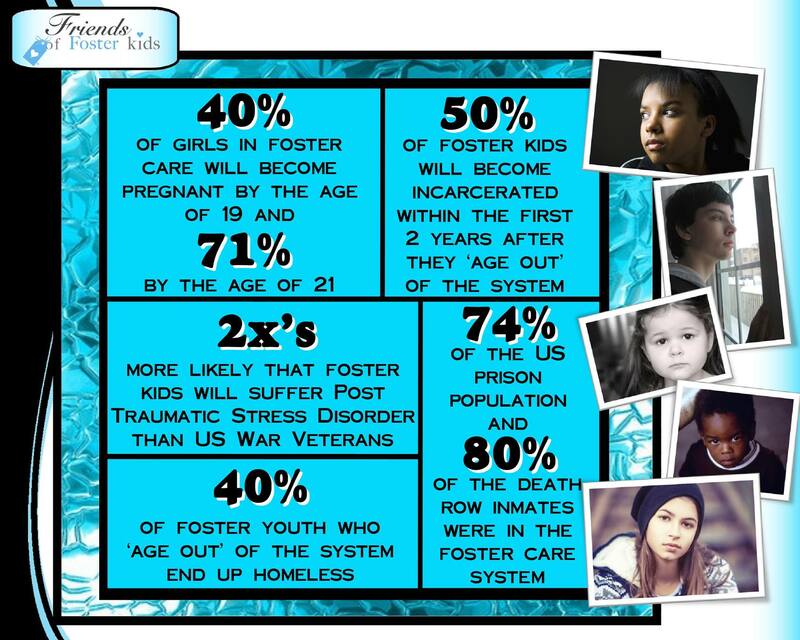 Startling foster kids statistics. Help us change this by helping us… Change Lives…One Child at a Time! Together we can touch the heart of a child. If you would like to find out how you can make a difference in the life of a foster child at Christmas, please contact us at info@friendsoffosterkids.org and stay connected with us year-round on social media, Follow us on Twitter and Like us on Facebook! This message is for Theresa Toia. My name is Amanda Buckhave. I am the HR Recruiting Specialist at Community Choice Credit Union. We met back in October at the Community Choice TED event in Southfield, MI. At the time, we had discussed my interested in utilizing my experitise to assisting with individuals looking to get into the workforse. You had said you would be looking to start a program at the turn of the year. I would love to speak to you further about the opportunty. Please let me know when might be a good time for us to speka.